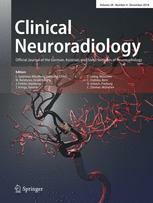 Peter Vorobieff, a professor in the Department of Mechanical Engineering at The University of New Mexico, is one of the co-authors of a case study recently published in Clinical Neuroradiology. Co-authors are Andrew Carlson and Christine Meadows of the UNM School of Medicine. The first author, Dr. Carlson, is a neurosurgeon who currently leads several clinical trials at UNM. The study describes a case of Dr. Carlson's patient who was diagnosed with a potentially lethal condition called dural arteriovenous fistulae with cortical venous reflux. This condition is characterized, among other things, by blood flowing in the wrong direction in a vein in the head. “Curiously, the reflux appeared to occur only when the patient's blood pressure was high. The patient's condition was successfully treated with transarterial embolization — a procedure blocking blood supply to a problematic area,” said Vorobieff. The central question of the study was, “What had caused the reflux to depend on the blood pressure?” There were no such cases described in literature, Vorobieff said. Dr. Carlson suspected that the explanation might have something to do with the fluid mechanics of the blood vessels in the patient's brain and contacted Vorobieff, a fluid mechanics expert in the Department of Mechanical Engineering. Vorobieff was able to suggest a simple explanation — an abrupt change in the flow structure can be caused by change in the fluid flow rate in some geometries — and a change in the patient's blood pressure could lead to exactly the flow rate alteration sufficient to form a recirculating vortex, redirecting the blood flow and leading to the reflux. “This is an important finding because previously refluxing veins were considered only as a static problem, and it turns out that there can be a fluctuation between reflux and normal drainage through the same vein, which has implications for which treatment strategies might be more successful,” Vorobieff said.